To make cocktail, pour mango nectar then champagne into champagne flute. Garnish with blueberries. You can find mango nectar in the ethnic foods section or aisle of many supermarkets or at Hispanic grocery stores. 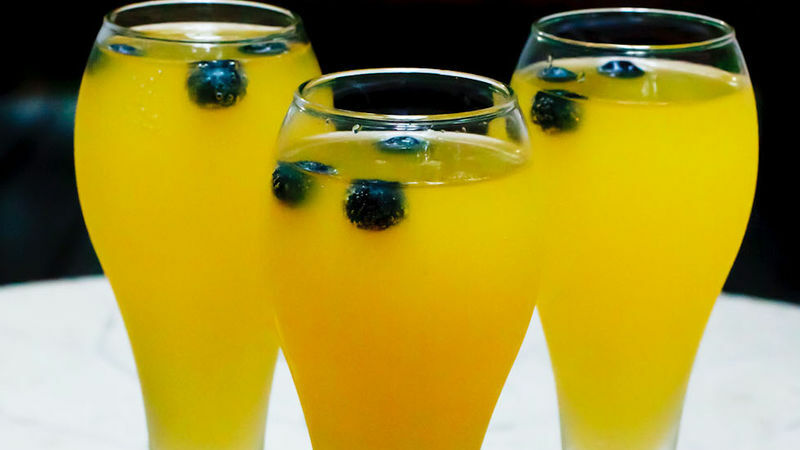 Any dry champagne or sparkling wine will work in this cocktail.